Having trouble finding egg-free, dairy-free, peanut-free, tree-nut free protein bars? With the help of Arbonne Essentials Nutrition line and SunButter, my family has an option they can't get enough of these days. 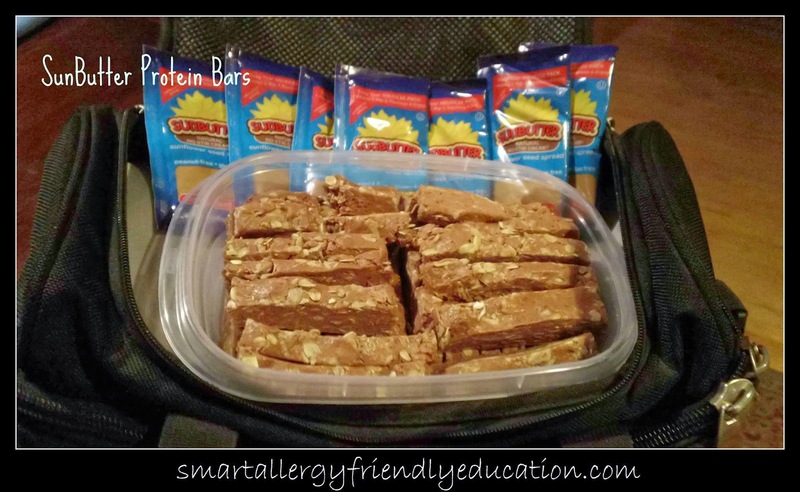 The original protein bar recipe was shared with me from Jake's Gluten Free Market, one of my regular allergy~friendly local haunts. 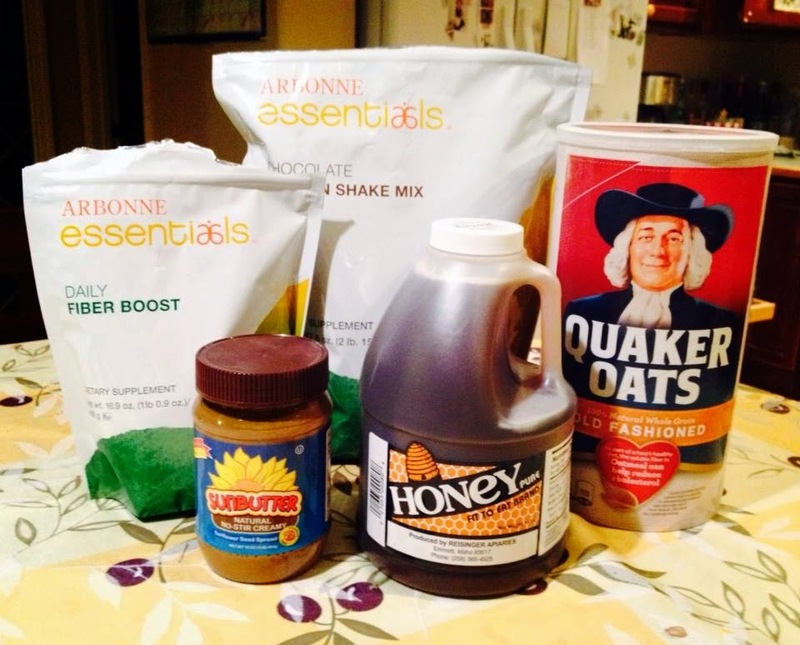 You can use this recipe to adjust using any of the regular protein powders you use at home. If you aren't comfortable using Arbonne's, I know there are many others out there to consider. Mix the honey and SunButter together. In a separate bowl, mix your dry ingredients together. Combine the dry and wet ingredients together. The batter will be a bit stiff. Press into a 9 x 16 inch pan and refrigerate for an hour. This makes cutting them into bars a bit easier. Then again, we tend to sample immediately to JUST make sure we got the mix right! If you don't want to make your own, be sure to visit Jakes Gluten Free Market as they sell their own version and they ROCK!! *Arbonne Note - I have made several phone calls to the company, researched on their 'SOURCE' website and personally feel as though these products are safe for my kids. This would have to be a personal decision you would need to make based on your child's peanut and tree nut allergies. Their Essentials line is vegan-certified (no dairy, no eggs) and they use NO PEANUTS in their facility. This statement is straight from their informational website in response to the concern that their Nutritional packaging states: 'products are made in a facility that processes milk, eggs, tree nuts, soy, and wheat'; While these Essentials products are required by our manufacturers to have a warning that indicates that the products are manufactured in a facility that also manufactures product containing these ingredients, we would not say that the facilities are “contaminated” or at risk of being contaminated. All of our manufacturers have stringent SOP (Standard Operating Procedures) for the cleansing and sanitation of the machinery between productions. Additionally, all of our manufacturers are audited by Arbonne as well as other regulatory agencies like the FDA for compliance. To this day, we are not aware of any issues that have occurred with our customers regarding cross contamination. Cindy.. they are delish! Awesome with any protein you like.. throw in some glutenfree oatmeal and you're ready to rock and roll! With a peanut allergy in the house, sun butter makes occasional appearances. We haven't, however, ventured into recipes. This will end with this one!